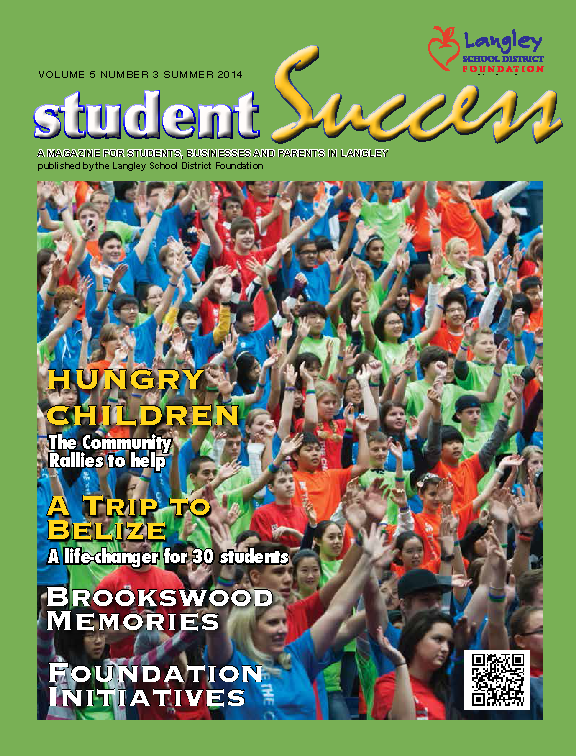 Success Magazine is a magazine for students, businesses and parents in Langley, BC. It is published by the Langley School District Foundation and contains articles and sponsorship advertising of interest to families in Langley. 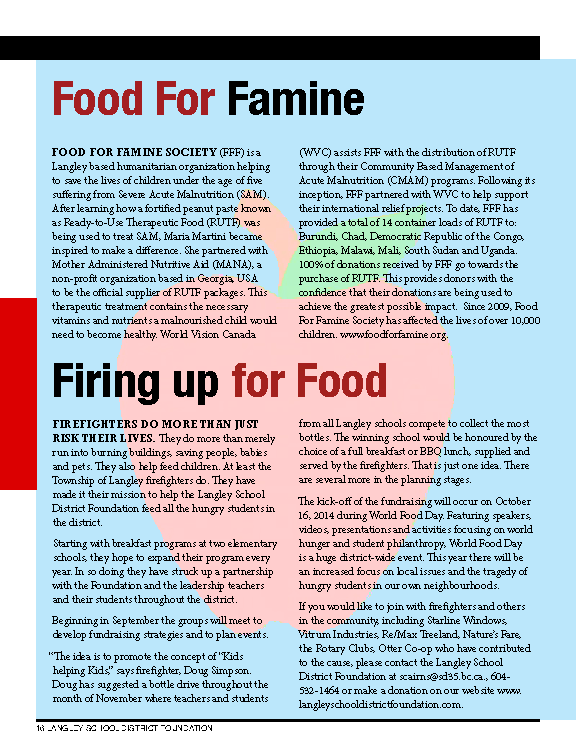 The publication helps families engage in educational, healthy and fun activities through Langley School District programs or through community-based programs and services that complement the objectives of Langley School District. 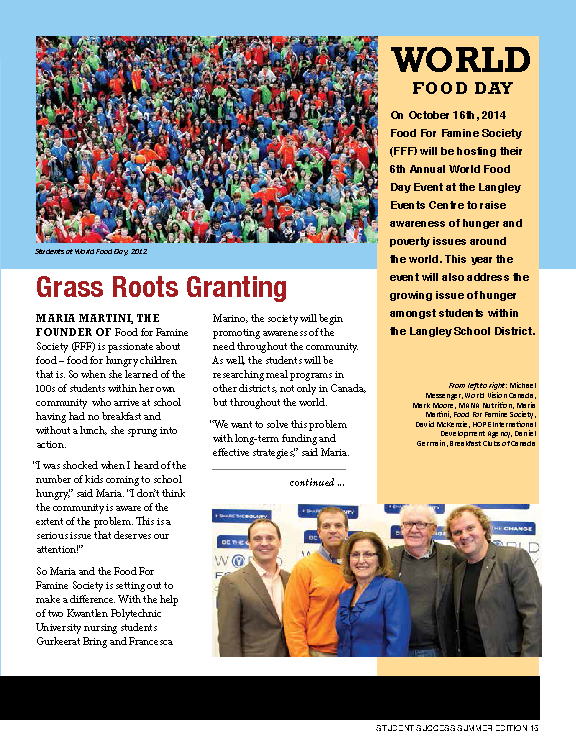 We were thrilled when they included our Food For Famine Society event in their Summer Issue!